Start up or buy out? A rising middle class is accelerating an economic transformation in Africa. Sub-Saharan Africa’s consumer class is growing at an exponential rate. 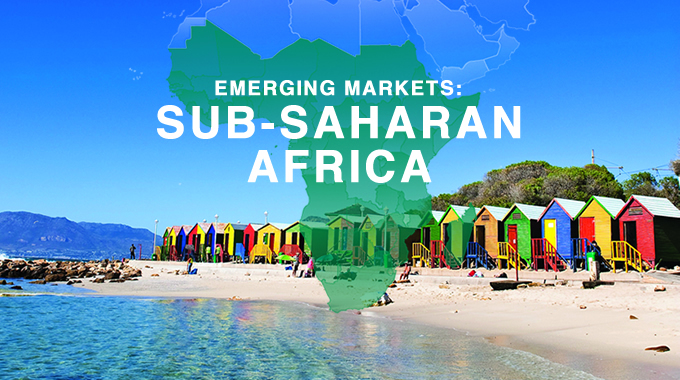 According to a recent Accenture report, almost 8 percent of all emerging-market spending came from the region in 2010. That $600 billion in consumer expenditure is expected to increase to about $1 trillion by 2020. The same report projects a decrease in poverty to 20 percent during the next six years, down from 40 percent in 1980. And by 2030, more than 1.3 billion sub-Saharan consumers will be spending more and demanding more in services and products. Kellogg alumni are helping to facilitate this growth. Abdul-Nasser Alidu ’10 oversees marketing for Tigo, a mobile phone company currently developing a handset that enables mobile commerce and banking, which are new to the region. Sandy Osei-Agyeman ’77, founder of SLID Industries, provides hair and skin care products to consumers. And as he prepares to step down as joint CEO of City Lodge East Africa, Daniel Szlapak ’00 plans to move into investing and continue to explore this ever-growing market. Why make this move? Simple, he says. "Every sector is booming."